A bouquet of three, six of nine helium filled foil balloon measuring approximately 18 inches each, which is delivered fully inflated and finished with a complimentary weight. Perfect as a finishing touch to a beautiful display of flowers. We can also offer delivery of balloons to a venue for a party or birthday meal. 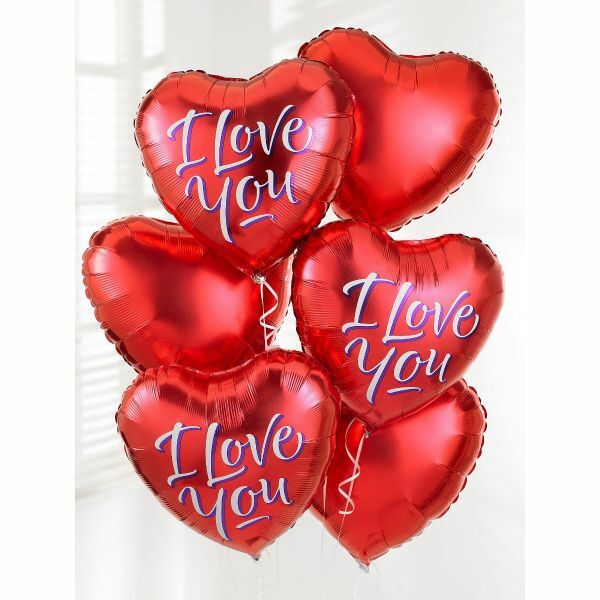 Add the perfect finishing touch to your gift with a wonderful display of three, six or nine 14'' Foil Balloon pre-filled with helium and finished with a co-ordinating weight. Please note balloon design may vary to example shown, photo for illustrative purposes only. Where a balloon or balloon bouquet is chosen alongside a fresh flower arrangement or bouquet we endeavour to provide a balloon matching the flower colour scheme where possible.